Preheat the oven to 400° F or turn the BBQ grill on medium heat. If cooking in the oven, line a cookie sheet with aluminum foil. If cooking on the BBQ, cut a square of aluminum foil that will be placed directly on the hot grill (about the size of a small cookie sheet). Trim the asparagus spears (see instructions below). Place asparagus on the aluminum foil. Mix the other ingredients in a small bowl. Spoon the mixture over the asparagus. Gently move the mixture around to coat the spears. 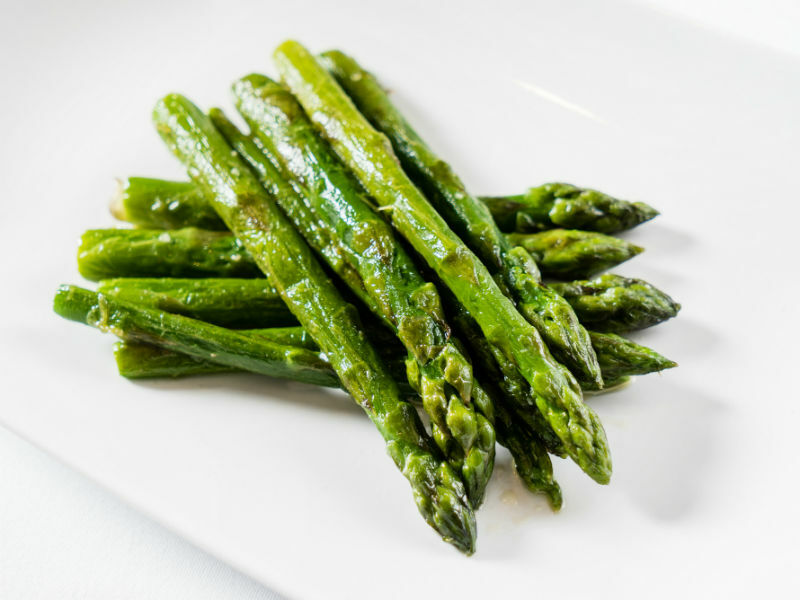 Place in the oven or on the grill for 10-15 minutes or until asparagus is tender but still crisp. To take away the woody bottom part of asparagus, take the end of the asparagus between your thumb and forefinger and bend until it breaks. It will break where the woody part ends and the fresh, juicy asparagus begins.